While testing a design for my upcoming Bootstrap 3 book (stay tuned, it’s coming soon! ), I discovered the importance of the @screen-xs-max variable, and by extension the other @screen-__-max variables. In my case, I had three columns set up using the class col-sm-4. This would lay them out side by side horizontally when the viewport width is above the @screen-sm breakpoint (by default 768px). Then they would shift to a single-column layout below that breakpoint. HOWEVER, because each column contained a floating button, the blocks of content were not clearing each other when arranged vertically. Buttons were flowing beside headings, and so on. Thus, for the narrow single-column layout, I needed to set up a rule to force the columns to clear floating elements above them. I also wanted to add some vertical padding between them. Seemed easy: Set up a media query with max-width: @screen-sm, and set up rules to clear floats and add padding only under that query. On initial testing (i.e., resizing my desktop browser window), this seemed to work great. The problem: This left a 1px zone where the columns remained narrow while clearing one another and thus still stretching down the screen vertically. After a bit of consternation-laden thought, I revisited Bootstrap’s breakpoint variables … and realized I’d stumbled on the reason for the @screen-__-max variables. Note what these do: provide a breakpoint that is exactly 1px less than the next larger breakpoint — exactly what I needed to clear up this problem. That did it. Problem solved. See it and test the difference in this Codepen. Even with Bootstrap 3’s powerful responsive grid, be sure to test breakpoints very carefully, and across devices, watching for 1px gaps. The @screen-__-max variables can be your friend! If you’ve not seen them, these two recent and excellent reads pull together a number of instructive tips for responsive web design process. This is a well crafted, succinct list providing summaries (with links!) of important emerging responsive design trends. Speaking of Trent Walton, he’s just published a fantastic overview of his working process. Also a series of notes, in very readable paragraph form (and benefiting from Walton’s wonderful knack for typographic design). Well worth reading, contemplating, and assessing. For anyone who’d like a quick, friendly, step-by-step guide to Twitter Bootstrap basics, I’ve authored a little book for you, just released today. In a word, this book is a brief, friendly introduction to the basics of using Twitter Bootstrap. Warning: Because the book is brief, and basic, there are a slew of things it does not cover. There’s no room for serious customization of Bootstrap’s built-in styles. It’s not able to introduce you to working with Bootstrap’s LESS files. Who would want to buy this book? If you hate sorting through the documentation yourself, this little book will get you started. By the time you’re done, you’ll be ready to return to the Bootstrap docs with familiarity and confidence as you consult it and other recommended resources to keep rolling. 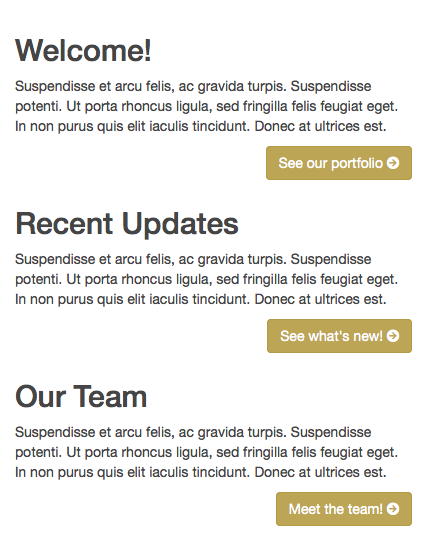 Responsive Web Design Newsletters: Must Subscribe! If you’re eager to track the most exciting new developments in responsive web design, there are now two great newsletters to subscribe to. Where there is overlap in their coverage, take it as emphasis. When they diverge — you’ll get broader coverage. Win. Win. I’ve been doing a fair bit of research on the latest thinking in responsive web design. Heady and exciting stuff. One thing that quickly becomes clear is that responsive web design (see Ethan Marcotte’s book and add Luke Wroblewski’s Mobile First and Andy Clarke’s 320 and Up) is one key element in a larger matrix of elements that together make for a responsive web. Need to keep your site friendly for mobile devices, and yet load rich content for devices that can handle it? Employ an if statement in your script. Very simple to implement. Excellent how to and demo included. For your responsive web designing pleasure, I’ve put together a little CSS3 Media Query Reporter. Christopher Moeller has created a ruby gem to add the latest version of the Media Query Reporter to your Rails App. Get the latest at Github. For a quick tutorial on the rationale and process of building this — as well as the first steps toward creating a responsive grid system — see my tutorial at Webdesigntuts+. In this article, we’ll talk to the team behind Nike Better World to find out how the website was made. We’ll look at exactly how it was put together, and then use similar techniques to create our own parallax scrolling website. Finally, we’ll look at other websites that employ this technique to hopefully inspire you to build on these ideas and create your own variation. via Behind The Scenes Of Nike Better World – Smashing Magazine.